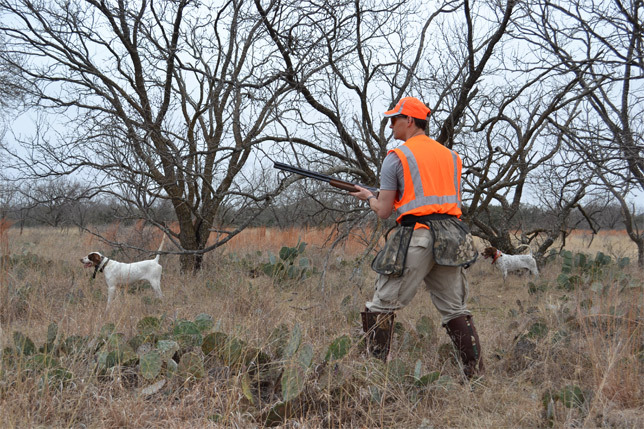 A Texas quail hunt is a great reason to get out of the office and a perfect way to bond with your friends and family. With an abundance of bobwhite quail across the ranch, Schmidt Double T Ranches is the perfect location for your next birding adventure. Climate Factors very often determine the annual population of bobwhite quail in Texas. Drought, floods, and other natural causes can reap a toll on quail populations. These factors can reduce the number of quail to dangerously low numbers within a year. Schmidt Double T Ranch is designed to develop and manage prime cover with sufficient food plots and water stations for attracting and maintaining gamebird survival. Whether you are at the Schmidt Double T Ranches for a few hours or a few days, the thrill of hunting and being outdoors with your friends or family is something you will never forget. 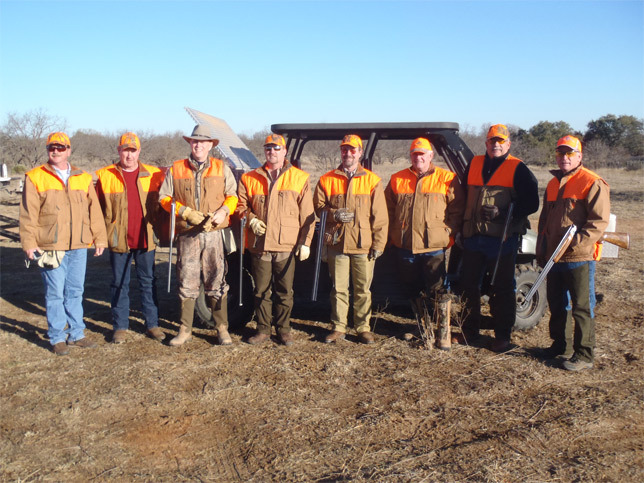 Bring yourself or a group on your Texas quail hunt and stay as long as you want (based on availability) in our comfortable lodges. The season spans from October 1 – March 15.